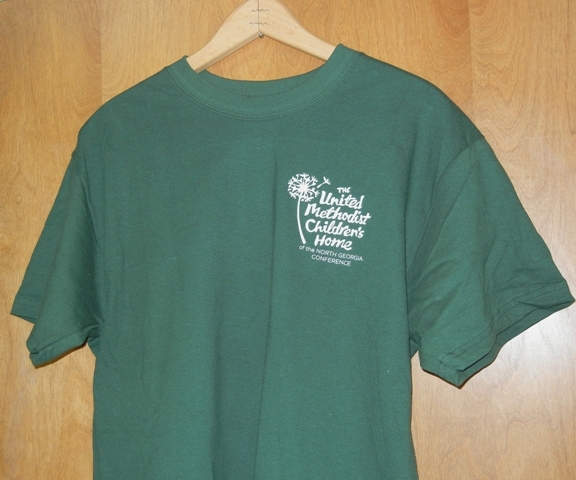 We have new t-shirts for sale with our beautiful new logo imprinted on the left chest. The shirts are $15.00 a piece, which includes shipping and handling. If you would like to purchase a shirt, please mail your check with a memo subject of “t-shirt” to the attention of Scott Young at UMCH, 500 S. Columbia Drive, Decatur GA 30030. Please include a note with the name and address where you would like the t-shirt mailed. If you have any questions, email Scott Young. All proceeds from the sale of the shirts will go to support our programs for children and families in need.